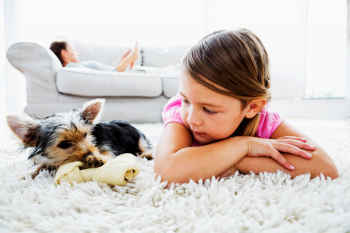 M&R Premium Carpet Care is a Fremont and Livermore carpet cleaning company and has been in business for over 10 years. We know that when it comes to cleaning carpets, one of the biggest concerns is the chemicals used. We take great pride in making sure all our products we use are biodegradable and safe for not only the environment, but for your home as well. Even though our name has Carpet Care in our name, we are able to clean any type of surface for your property in Fremont or Livermore. We are not limited to carpets and can clean hard wood, linoleum and tile surfaces as well. We are able to do this because of our experience in the industry of cleaning floors. Also, M&R Premium Carpet Care is well known in the Fremont and Livermore area as a contractor to many apartment complexes as well. If you would like to contract with us, please give us a call to find out our pricing. We promise it will be the lowest and most professional around. If you’re in need of emergency and restoration services, M&R Premium Carpet Care is available 24 hours, seven days a week. For more details, please call. Flooring Services You Can Trust! Most Bay Area carpet cleaning companies only take care of the basics, the carpet and maybe an area rug or two. At M&R Premium Carpet Care in Livermore, we pride ourselves in taking care of all your carpet and upholstery care needs. We steam-clean mattresses and even repair water damage caused by flooding or other household accidents. M&R Premium Carpet Care has 24 hours a day, seven days a week emergency services throughout the Bay Area to keep your home looking its best. As Fremont area’s top choice in professional carpet cleaning, our highly trained technicians understand that every carpet is a little different. We can offer you unique solutions for every case. Your furnishings upholstered in fine fabric whether synthetic or natural such as cotton, silk & wool demand specialized treatment. Rest assured in the experience of your upholstery technician. We treat your upholstery with the finesse that it requires. We have years of experience dealing with floods and the havoc they have caused on homes and buildings. Don’t let mold, mildew and bacteria get the chance to spread and infect areas of your home or business. We can provide water extraction and structural drying services to renew and restore your carpet and upholstery. Trust your investment to the professionals, our team of trained technicians are ready to provide your wool rug the proper care it needs. We will come to you for a detailed inspection of your Wool rug and consultation at no charge and then schedule the cleaning. We look forward to serving you.